The Connecticut Sun will begin the 2018 offseason by celebrating each player on its roster, highlighting the players who rock in the blue and orange. To start, the Sun will take a look Jasmine Thomas. 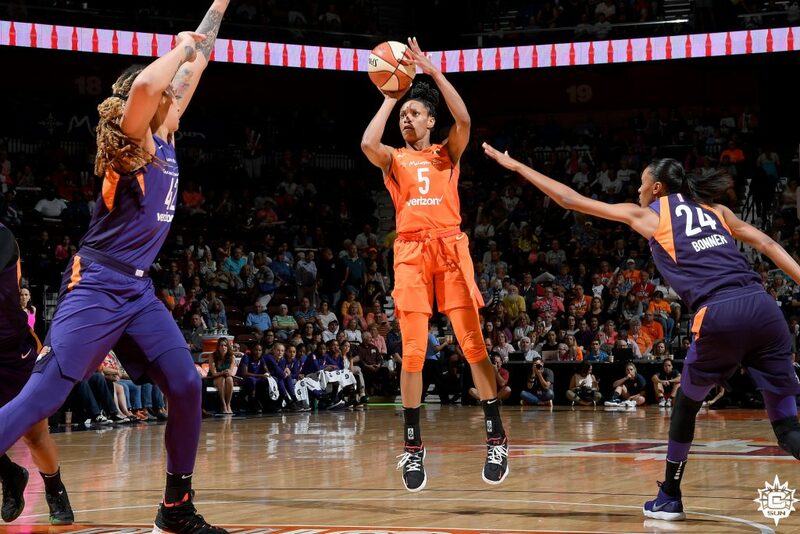 The Duke University standout dished out her 900th assist in 2018 and struck for a career-high 30 points against the Las Vegas Aces on August 5th. She also eclipsed 700 rebounds, 250 steals and 2500 points by the time the 2018 campaign came to a close. Check out all of the Thomas’ related content at @ConnecticutSun on social media and check out her photo gallery HERE.